A new residential building will be completed in the Western Pasila region of Helsinki next to Central Park in the autumn of 2011. Future residents are most likely completely unaware of the high level of technology and top expertise that was used in the design and construction of their new homes. 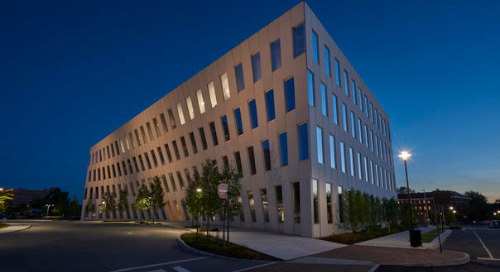 On the outside, the building looks quite like any other residential building, but from start to finish, it is a BIM (Building Information Modeling) project to the core. 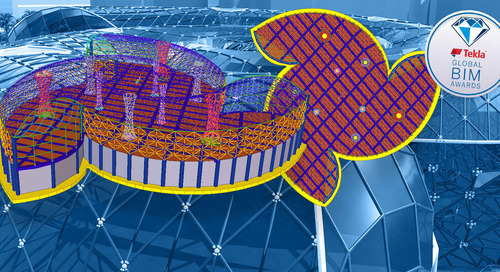 Structural Engineering Ylimäki & Tinkanen won Tekla Finland’s model competition and gained special recognition in the international Tekla Global BIM Awards competition with their structural design of Gramofoni in 2010. Helsinki Gramofoni is a residential building with a precast concrete structure, 5/6 stories and a ground-supported footing foundation. Underneath the building is a pre-built access tunnel. The basement houses a parking garage and storage, among other things. Air-raid shelters are located in the adjacent building. The outer walls are made of precast inner skins, the facade has a brick lining, and the intermediate floors are made of hollow-core slabs. 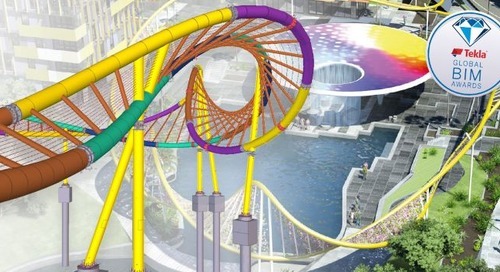 The structural and element design of the building in its entirety was done with Tekla Structures software. A pre-built access tunnel goes underneath the building, and this posed challenges to construction planning and execution. The same applies to residential construction than any other construction: building information models make tasks significantly clearer to understand at the site. In the design phase, it is possible to do things that would not even be possible with conventional drawings. Tekla’s competition jury stated that the modeling process of Gramofoni met the evaluation criteria in all respects and that in the model, BIM is at its most advanced. The project shows that even an ordinary residential building can be modeled effectively and by focusing on the true nature of BIM as a collaboration process. 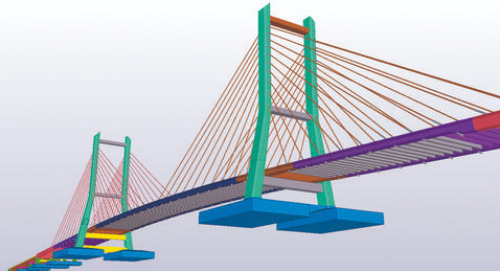 The evaluation criteria in the entire competition included the utilization rate of the Tekla model, versatility of the model, materials of the structures (the same model contained both steel and concrete), collaboration and communication between the parties in the project, application of the multiuser function, and the smoothness of the BIM process. All parties used BIM software during the project. Architects Vuorelma Arkkitehdit Oy made a detailed architectural model of the building, which was the basis for Structural Engineering Ylimäki & Tinkanen's detailed and accurate structural model created with Tekla Structures. The HVAC and electrical engineering models of the building were thus very precise, and the electrical engineering model for this precisely modeled building even includes all wall sockets and light switches. 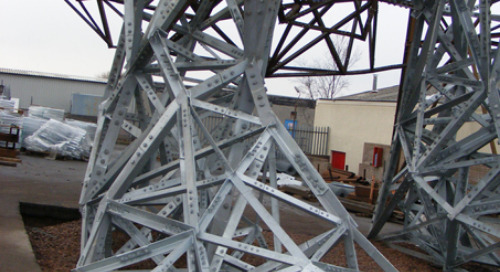 However, communication between structural design and electrical engineering happens by means of 2D drawings for the time being. The contractor Skanska found the models of the different design sectors very useful. 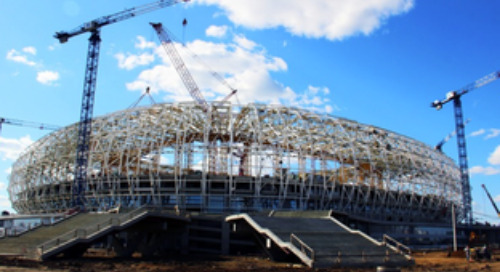 For example, Tekla Structures was used for site management and scheduling. "We aim for reliable production and effective scheduling. We want to be sure that the designs contain no conflicts or errors. 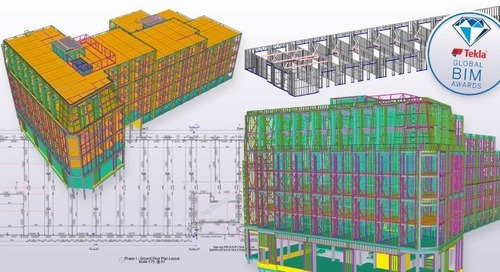 Building information modeling provides undisputed benefits in this respect," says development manager Ilkka Romo, director of Skanska BIM Competence Center. 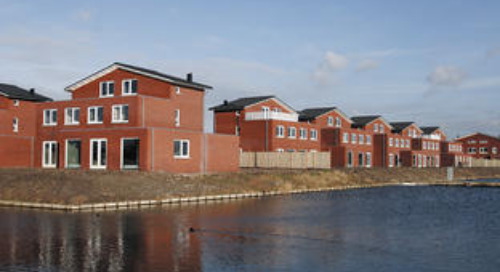 Residential development may be even more challenging in terms of BIM than office development. There are lots of details. Stairs, facades, balconies, and many other features characteristic of a residential building cause extra work. One must plan very carefully how a tread slab of stairs is attached to the wall. It must be notched into the precast model separately. Connections of floor slabs and landing slabs to the surrounding structures are detailed carefully to ensure, among other things, proper soundproofing. One precast unit of a residential building may have dozens of details regarding, for example, the support and attachment of the unit. These must be correct and accurately positioned already at the design phase. On the other hand, the principles and processes remain the same from one site to another in residential development. There are plenty of standardized components, reinforcements, and steel parts. "In the standardization of residential development, modeling actually offers the greatest benefits since the processes can be honed carefully. This allows for the development of design libraries and standard tools which serve the purpose best," says Ilkka Romo. "Our goal is to standardize the model so that certain components would always be the same. For example, colors would be used consistently in the area planning of the site, irrespective of the project. In my opinion, one of the greatest challenges of BIM is the current lack of designers who are skilled in using the tool. Issues with capacity, in other words, the lack of sufficient modeling competence, slow down development," Romo adds. 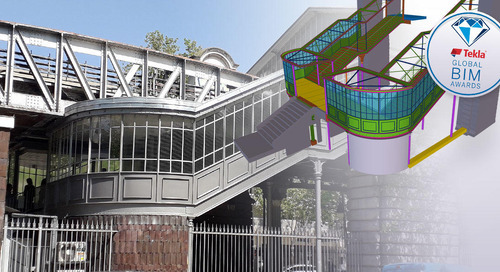 For engineering offices in particular, in-depth BIM training is a huge investment. Creating building information models is challenging and requires a completely new kind of competence. On the other hand, design tools are not yet advanced enough in all respects, so modeling is certainly more challenging now than it will be in the future. To improve software, Skanska works in close collaboration with software manufacturers such as Tekla. "Unfortunately, the capacity of the supply chain to process building information models is very limited. Skanska works to change the situation by designating established teams for the projects. In both building systems and design, collaboration is pursued not only at the company level but also at the personal level," says Ilkka Romo. The pace of development at Skanska is fast: Jouni Muukkonen, project manager of their BIM team, visits the site every couple of weeks to listen to development suggestions and needs. Management of details in precast units, especially in terms of changes, proved to be a challenge in the design of the project. "The model contains significant amounts of data for one precast unit, and managing that data requires meticulousness in design. The structural design modeling process of residential buildings is a diamond that just needs a little bit of polishing," says structural designer Miikael Nelimarkka of Ylimäki & Tinkanen. "In the 2D world, designing precast units is highly advanced, but this new way of working requires learning and changes in the design process," says Nelimarkka. However, he says that an undisputed benefit of the 3D building information model is its ability to allow everyone to see the designs in the same way. "It may sound a bit strange, but that's the way it is. It significantly reduces errors and collisions." Using models from all design sectors proved beneficial in design. For example, importing HVAC lead-through information in the structural model in an IFC file format made it easier to manage the overall design, and using reference models imported from other software prevented collisions at the site. "When you encounter a problem at the site, it is a lot easier to switch on the computer and pull up a combined model for the entire building, rather than to dig through four binders of drawings and then try to verify things by comparing the drawings," says Skanska production engineer Janne Piepponen, illustrating how BIM is used on site Gramofoni. It is also easier for a new employee to visualize the end result using a model. For example, it is not that easy to decipher from a conventional paper drawing which floor it describes. "Of course, this also depends a bit on the person. Seasoned construction workers can quickly see plenty of things from conventional drawings, whereas younger workers are more familiar with the computer," Piepponen says. "However, it does not always have anything to do with age. Some more mature workers also know their way around computers. On the other hand, one has to know English since the software user interface is not available in Finnish." Typically, a building information model is consulted when section points need to be determined at the site. It provides a graphic illustration on what part should go where. Errors in elevation and reservations are easy to detect. The model is also shared with key suppliers. "We have used the model in hoists and electrical installation at the site, as well as in organizing waste management," says foreman Harri Vesanto from Skanska. The Gramofoni site does not generate mixed waste, but careful sorting of waste does require an area of its own. The model is handy for checking where waste containers should be placed. The same applies to the management of material storages. The model shows temporary supports of the precast units, so it is easy to visualize a spot which will actually be available. Furthermore, it makes managing storage information easier, so placing supplies somewhere far away from the planned site of use happens less frequently. Material loss has decreased. "We cannot rely solely on the model yet, but we use the old method parallel to it," says Harri Vesanto. In a future scenario, the person taking measurements would receive all precast unit data from different design tools on his or her measuring device. "Then they would simply walk around with a PDA and it would direct them to the right place. Right now that idea might sound funny, but it is not necessarily that far off in the future."